The image reflects once (at Number 1), which means that the reflected image is upside-down and backwards. Your ghost image will be quite faint. Depending on the lighting, a clear piece of glass will reflect less than 10% of the light that hits it. This is good for most applications—you want your windows to be as clear as possible. 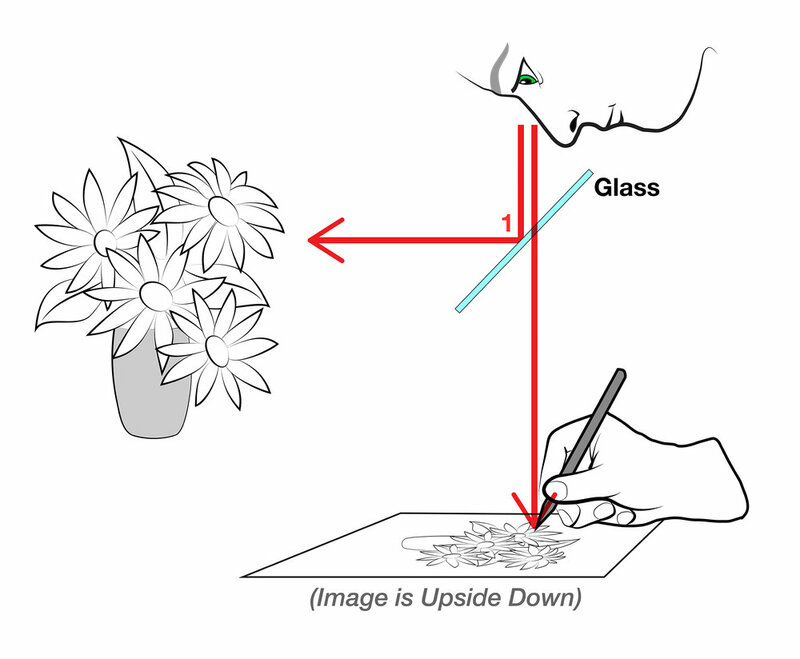 But for a camera lucida, you want to balance transparency and reflectivity to get a clear ghost image.